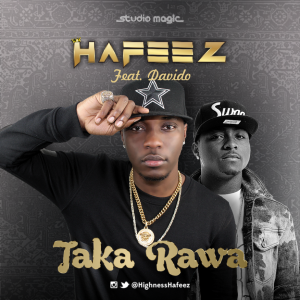 Studio Magic presents her set-to-blow signee, Hafeez aka Highness Hafeez in this hot and spanking new single featuring one of Africa’s biggest artists Davido. “Taka Rawa“ (which means dance step in Hausa) is a highly energetic dance track with top class production from Studio Magic’s Platinum Toxx. This comes as a follow up to Hafeez’s introductory single “Waye Babanka” which was well received for its uniqueness and rather striking video. Hafeez is determined to take music originating from northern Nigeria to the forefront of mainstream African music industry.